Please fill out the form below for your golf package price. Over 25 golf courses to choose from and great accommodations to stay in. Great Golf, Great Friends and Great Accommodations!! Enjoy. Golf Packages start at only $99 per night/golfer for Budget Golf Packages to $199 per night/golfer for luxury accommodations with Resort Courses. All package rates are based upon four golfers staying a minimum of three nights in Condos or Homes. Two person or couples golf packages start at $149 per night/golfer, minimum three night stay in Condos or Homes. Free Golf Club Rentals if you book with Hilton Head Vacations. Call 800-400-4113 to book your world class Hilton Head Golf Package today! Accommodations available will range from three bedroom condos to six bedroom luxury homes. 3 BR Oceanfront Luxury Turtle Lane condos sleep four golfers and you can walk to the Ocean Course and Heron Pointe in Sea Pines. Luxury Sea Pines and Palmetto Dunes Homes have gourmet kitchens, huge living rooms, pool table, 60 inch TVs or larger and heated pools to enjoy in the spring and fall. The budget condos are also updated with granite, stainless steel appliances and updated bathrooms. All condos and homes comfortably sleep four to eight to twelve golfers in beds. In 1960 the first golf course was opened on Hilton Head Island. The Ocean Course in Sea Pines was the first golf course. Harbour Town Golf Links was opened a few years later and was designed by Pete Dye. The Heritage Classic started in 1969 with Arnold Palmer winning the inaugural event. Now one of the most famous golf holes in the world, the 18th hole at Harbour Town was originally designed to go back to the clubhouse and not down to the lighthouse. While Charles Frasier was in Europe, Pete Dye changed the layout to go towards the Lighthouse and now the 18th at Harbour Town is one of the most famous holes in golf. Many of the 30 courses in Hilton Head area are signature courses you can play. Dye, Nicklaus, Palmer, Fazio, Hills, Trent, Player, Love and more world famous golf course designers have created master pieces to challenge the best golfers in the world. All the courses are within 20 minutes of each other. Stay on Hilton Head near or on the beach and play world class golf courses. Hilton Head Vacations has packages starting at $99 per night per golfer for budget packages to $199 per night per golfer for luxury accommodations and the top courses in the area. All packages are based upon four golfers per night. Harbour Town Golf Links has a premium fee to play. Would you like to stay in a VIP home or condo and play the world famous Harbour Town Golf Links? Sea Pines Resort now has three golf courses, Heron Pointe, Ocean Course and Harbour Town Golf Links. There are world class golf courses all over the area, including Palmetto Dunes Resort with three courses, Arthur Hills, Robert Trent Jones and the George Fazio Course. Shipyard has three nine hole courses to create different layouts every day. Port Royal Plantation has three 18 hole courses, Robbers Row, Barony and Planters Row, all challenging courses with great layouts. Palmetto Hall also has two courses, Hills and Cupp to enjoy with Indigo Run has the Golden Bear, a Jack Nicklaus designed course. Hilton Head Plantation has Oyster Reef and Country Club of Hilton Head, which has held the US Open qualifier before. Many budget courses are off the Island, within a short drive of your accommodations, Hilton Head National, Old South, Rose Hill, The Crescent, Island West, Eagles Pointe, Pinecrest, Hilton Head Lakes and there are three courses at Sun City Hilton Head to play. Please fill out the form below to get a detailed proposal for your golf vacation. Budget golf packages in quality condos and homes start at $99 per night/golfer with luxury accommodations and the top courses in the area starting at $199 per night/golfer, based upon occupancy of four golfers with three night minimum. 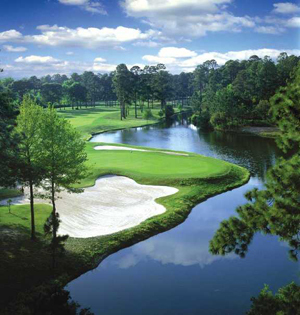 Please call 800-400-4113 or go to www.HHGolfPackages.com to book your Hilton Head Golf Package today! !